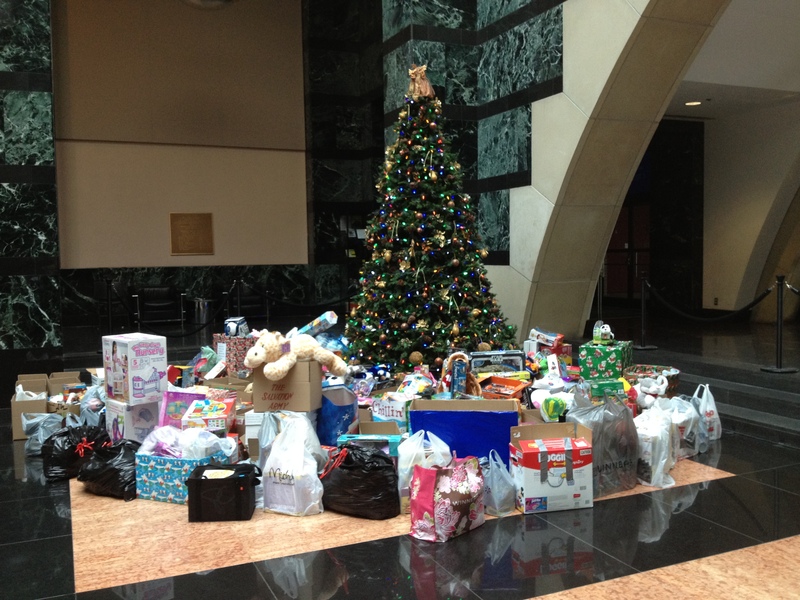 The City of Mississauga’s food and toy drive is underway at the Civic Centre’s Great Hall. The Salvation Army’s Christmas Assistance program will be distributing unwrapped toys and non-perishable food items left under the Christmas tree. Donations can be dropped off until 5 p.m. on Friday, Dec. 16 at 300 City Centre Dr.
More than 1,000 Mississauga families, including 2,000 children benefitted from the 2015 program.